A rich low carb pecan pie topping over a buttery shortbread crust will be the perfect addition to your holiday baking repertoire. No one will know they are sugar-free and egg-free. When I think about the holiday season, more particularly the food, slow roasted meats and vegetables, warm flavors, and spices come to mind. But if I’m going to be entirely truthful, I’m also thinking of the pies accompanying those meals at the dining table; pies full of sweet potato, pumpkin, Fall fruit, and nuts – especially pecans. When I was growing up we always had nice selection of sweets and desserts this time of year like pecan sticky buns, pecan tassies or my penultimate favorite pecan pie. It’s gushy sticky texture and undeniably almost-too-sweet-to-eat taste was something I always looked forward to. There are many recipes for pecan pie; those that use dark Karo syrup, others that use light Karo syrup and some that skip the corn syrup all together and use a combination of honey or sugar to achieve that quintessential sticky pecan pie texture. Unfortunately, low carb pecan pie has not enjoyed the same results. I’ve tried the low carb pecan pies made with erythritol and they all end up mealy. And as I’ve drastically reduced how much aspartame I consume, I’m not a fan of using (and heating) sugar-free pancake syrup to make a pecan pie. Luckily, I discovered that a homemade caramel sauce made from a Sukrin fiber product was all I needed to come close to that perfect pecan pie taste and sticky texture. If you are looking for a low carb dessert that not only tastes just like pecan pie but has that same buttery sugary sticky sweet texture, you’ve come to the right place. What’s even better is that there is no pie crust to fiddle with and no eggs for those with allergies. Yep, it’s an egg-free pecan pie bar recipe… And, also a gluten-free caramel pecan pie bar recipe because the crust is made from nuts, so it’s also grain-free and perfect for those who struggle with Celiac’s disease. These Caramel Pecan Pie Bars can be prepared in just 30 minutes and they taste amazing. Seriously, prepared 30 in minutes! 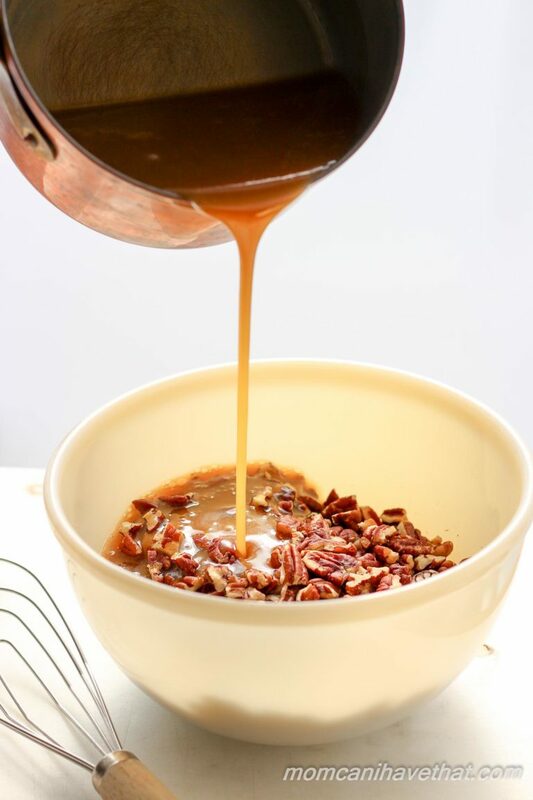 It’s just a matter of toasting the pecans while letting the caramel boil on the stove, pressing the crust into the pan, mixing the cooked caramel into the toasted pecans and then pouring the mixture over the crust. Pop the whole thing into the oven for 30 minutes and cool. That’s it for these amazing little caramel pecan pie bars. You’re going to love them! Just look at the comments! Note: Toasting the pecans, cooking the caramel and preparing the crust can all be done simultaneously. This dessert can be prepared in 30 minutes. Preheat oven to 350 and toast the pecans for 8-12 minutes until they are lightly browned. Let cool completely. Chop and place into a medium bowl. Spray a 9x9 inch square pan with baking spray and cut a piece of parchment long enough to fit the bottom exactly but hang over two opposite sides. Prepare the Caramel: Measure the first 4 ingredients together in a small pot or saucepan and whisk over medium heat until combined. Bring it to a boil. Watch the heat carefully and turn it down just as the caramel mixture begins to crawl up the sides of the pot. You want the mixture boiling enough that it will get thick, but not so much that it will boil over and make a mess of the stove. Just watch it for a minute and adjust the heat up and down until you find the sweet spot. Remember, it needs to be simmering pretty quickly, but not moving up the sides of the pot. Let the mixture cook for 20 minutes. Take the low carb caramel off of the heat and whisk in the 2 ounces of salted butter, sifted powdered sweetener, stevia glycerite, Brandy and vanilla until incorporated. Make the Shortbread Crust: While the pecans are toasting and the caramel is cooking, measure all of the dry ingredients into a smallish mixing bowl. Mix thoroughly with a whisk. Melt the butter and add it to the dry ingredients. Stir and press the mixture with a large spoon or rubber spatula until the butter is incorporated. Squeeze a small amount in your hand to test if it will hold together nicely. If not, add 1-2 more tablespoons of melted butter. Press very firmly into the prepared pan by laying a piece of waxed paper over the crust and pressing firmly with a flat bottomed glass. Assemble and Bake: Pour the caramel into the chopped pecans and mix together. Pour the mixture on top of the shortbread crust and gently spread it evenly over the crust. Tilt the pan a bit to distribute the caramel. Preheat the oven to 350 and position the rack at the bottom position. 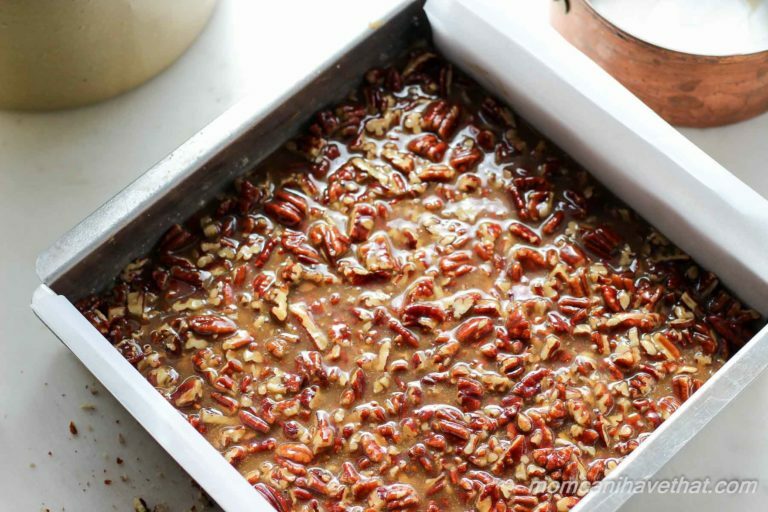 Bake the Caramel Pecan Pie Squares for 25 minutes. Remove and cool completely. Serve: Run a thin sharp knife around the inside of the pan. Pull the whole recipe of pecan bars out of the pan by pulling on the overhanging parchment. It will take a little bit of coaxing. Lay flat and cut into 16 squares. Refrigerate or serve. These bars become firm upon refrigeration. Any recommendations on which and what quantities to use? Also how would Frangelico liqueur be instead of rum? Your guidance would be much appreciated!!! Thank You! Hi, I am dying to try this recipe. can you use coconut flour instead of grinding the flakes? If so, what would be the measurement of the coconut flour? Do I reduce the almond flour if I sub coconut flour? Hi! Thank you for the recipe, it looks amazing. My question is about the Sukrin. In the crust part of the recipe it states to use Sukrin or any other powdered sweetener. But in the filling part of the recipe it states to use Sukrin Gold powdered or any other powdered sweetener. But isn’t Sukrin Gold the brown sugar type sweetener? Are we meant to powder it in a cuisinart? Can I add eggs to this recipe? If yes, how many & what would I omit? So excited, can’t wait to try!! Has anyone tried substituting Heavy Coconut Milk (or Coconut Cream) for the Heavy whipping cream? These are the best! I make the crust as is (extra butter for crust as suggested) and press into a 9×13 red copper brownie pan. (as seen on TV) I double the other ingredients. Have found that 4 cups of pecans will work. Put the portion divider in after baking. A hit with friends and family. These taste really great! But, my blood glucose spiked 70mg/ml from 1 piece. From Sukrin: “For most people, the majority of Fiber Syrup act like fiber in the body, while for some people it appears that a portion of the fiber can cause the blood sugar to rise. 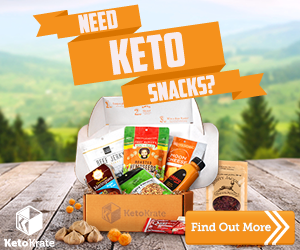 We therefore recommend people with diabetes to be careful when using Fiber Syrup.” So keto and diabetic peeps, you may want to test your glucose with this product. 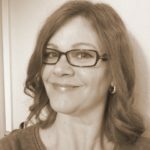 I’m bummed – the pecan topping is just divine! 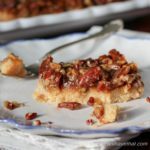 These pecan bars are absolutely decadent! I’ve tried a couple of other recipes and there is no comparison. I have a feeling the Sukrin products make all the difference. I do have one problem, though. My crust just completely crumbles apart. There is no way I can cut them into squares. Do you, by chance, have any tips or suggestions that might help? The second time I made them, I added a little more butter as you suggested, but they still crumble. And I would like to add a big thank you to you for all your effort in your recipes. You have a lot of amazing recipes that have really helped me this past year! Ah I wish this recipe had worked for me. I loved that all the ingredients were listed by weight, that alone is worth giving it a shot. However, the recipe itself was a bit of a failure for me. I followed the recipe exactly with no modifications. 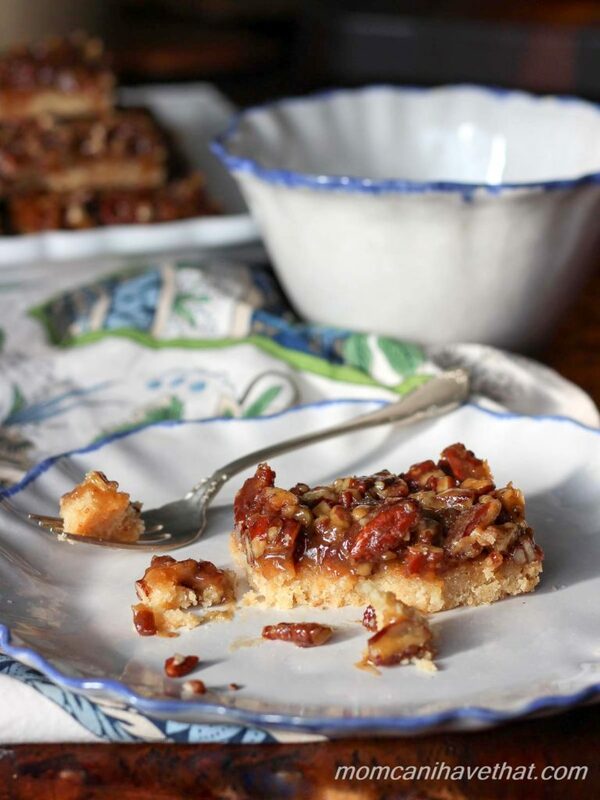 Normally my favorite part of pecan squares is the crust – I just love a buttery shortbread. The pecans should be goey caramelized with a slight crunch. This crust was way too thick (about 3/4″) and the texture was odd. I could taste both the coconut (shredded, ground fine in grinder) and whey protein (I used Isopure unflavored) and neither belong in a shortbread crust. It was super crumbly when warm but did firm up in the fridge. The filling was better than the crust but lacking oomph. I would add maybe a teaspoon of molasses or more vanilla for a richer flavor. Perhaps more Sukrin gold. But crust to filing ratio is just too off for me and I can’t get past the gritty taste/texture of the coconut and whey protein powder. Thank you for posting the recipe, and extra thanks for listing weights! These are super delicious! This is, to date, the best sugar free dessert I’ve made. I think they taste best at room temperature. I tried both ways and didn’t care for them near as much when they were cold. They lose some of their wonderful flavor. The recipe as it appears does not mention the quantity of pecans needed. Can you clarify that please? Thank you! These look amazing – I can’t wait to try them; I have everything on hand except the pecans! Ohhhh – now I see those nuts Kim! Ha ha – thank you! Baking these today. Kim- these were amazing. Thank you for the great recipe. Hi Kim! I’m so excited to try these…..I’ve reviewed a zillion recipes and this seems to be most in line with the texure/flavor I’m looking for. Question for you- do you have any experience with this crust using coconut flour instead of the ground up shredded coconut? I assume you wrote it this way to make sure the texture is “shortbready” but just wondering if coconut flour would produce a good result. I don’t have a coffee grinder so I may need to use my little hand blender thing instead. Appreciate any feedback! Can I substitute plant protein powder for the whey protein powder? If so 1:1? I cant wait tomaje this but i dont like coconut flavor . Is there any substitute for this? Where do you shop at to get most of your ingredients from, I just started to lower my carbs and your blog is going to help me stick to it as long as I can get the ingredients. Do you have a list that is like a must haves in your pantry? I like how in this recipe you name what brands you use. When your just starting off it helps a lot! Thank you so much for all the hard work you have put in to this, I have recommended your blog to everyone I know. Hi Sarah, welcome to the site and to a lower carb lifestyle. I should put together a list of must-haves. I can find most things at my local health food store and even grocery store, however, I also purchase a lot on line through Amazon. So here are a few things I think a low carb baker should have starting out. Almond flour and coconut flour. I like to add whey protein powder to my baked goods because I think it achieves an even better result but it is not required. I also use xanthan gum to help hold batters together (also not required, but helps achieve a better result. Both products last for a year or more, so there is an initial expense, but they last forever. I have had the same bag of xanthan gum for two years and I test recipes quite a bit. Sweeteners are more personal depending on taste. Most low carbers use Sukrin brand sweeteners (found at Sukrin.com) or Swerve (found on Amazon). Both are erythritol based sweeteners that measure cup for cup for sugar. I also like stevia glycerite to bump up sweetness because I use less of the erythritol in my recipes. Erythritol has a cooling effect if used in too high a quantity which is great for gum but not for cake. You can also buy generic erythritol on Amazon and augment sweetness with stevia glycerite. Hi These look lovely. I wondered if I can use xantham gum instead of the protein powder? and if so how much do I use? Hi Leslie. I am so sorry I didn’t get back to you earlier. I’ve spent the weekend with my kids. You can’t sub xanthan gum for the protein powder – they are completely different and do different things. First, let me tell you what they do before I try to offer subs. Protein powder adds a nice bread-like quality to baked goods. It helps lighten them up and provides just a little structure to them. I find that baked goods are more dense (like rocks) without it. In this particular recipe it helps provide a more cookie-like texture. Xanthan gum absorbs moisture, producing a thickening effect. It also becomes a little gummy, which binds ingredients together and can also make things more moist – if there is enough liquid in the recipe. If over used it can make things sticky and hard as a rock as it tries to absorb all of the moisture. I don’t have any Brandy, should I go get some or will it work without it? Can you give a little direction to tasting the pecans? How long ? At 350? And what kind of whey powder do you recommend? Vanilla? Plain? My Sukrun products are all ordered and I can’t wait to make this for Christmas! Thank you !!! If I was to make these and freeze them then reheat in oven before serving how do you think they would do? That’s a great question Chelsey. I would probably thaw in the fridge and then leave it on the counter to come to room temperature. If you put it in a low oven make sure to check it frequently. Have a great holiday. This is the best substitute for pecan pie I have found. I tried 4 recipes. The others came out dry and the pecans got soggy. This recipe came out gooey and sweet, and the pecans were crunchy. This was also the best crust I tried. The shredded coconut helps greatly with the texture and does not dry it out like coconut flour. I made it in a pie pan and it worked great. I also used VitaFiber syrup and Swerve confectioner’s sweetener instead of Sukrin because they were cheaper on Amazon, and they seemed to work fine. I did not have any brandy, so I substituted 1 tablespoon molasses, which adds 15 grams carbs to the entire pie. Will try with brandy next time. Thank you for the recipe – my Thanksgiving dinner will be complete now! Thanks, I’ll check out the Sukrin website. The Gold syrup looks good. Definitely just using it for this special treat. I’m excited to try more of your recipes! These are in the oven right now! Had to make a half portion because I didn’t have enough pecans. I made a few subs/alterations. I didn’t have brandy so I used captain Morgan rum. But only a little bit. I used caramel flavoured stevia and added some maple essence. OMG… the sauce was to die for. Can’t wait for these babies to come out of the oven. 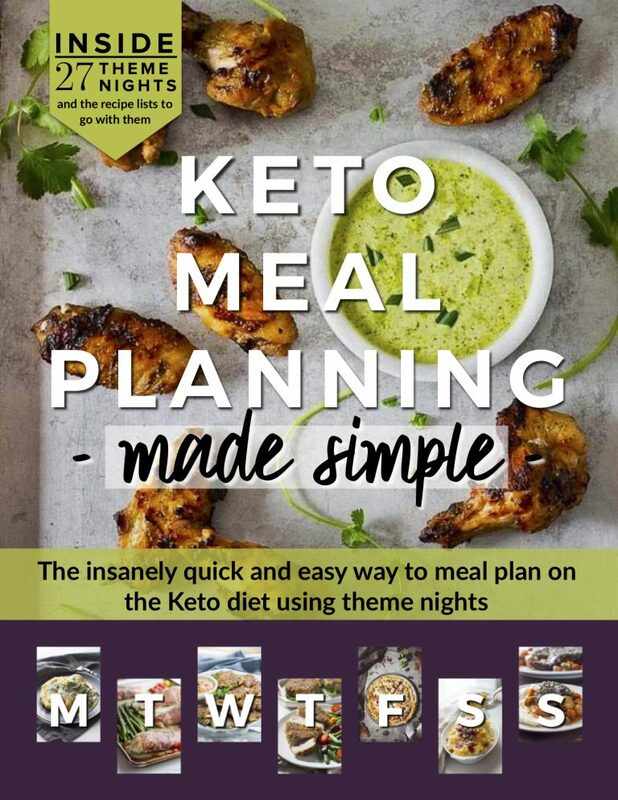 Your site has made me excited about going back to LCHF/Keto. Thanks!! In the recipe you say, Sukrin Gold, powdered. As you know, it comes granular. Do I have to put it in a grinder and powder it? If so, is the 1/4 cup before or after it’s ground? Thanks, Kim! Will definitely try these out. I finally made these. They’re amazing! Thanks for the great recipe! These are so good it’s just wrong. I can hardly believe they are low-carb. I made the recipe using only half a batch of the crust (I don’t like thick crusts) and it was plenty thick for me in the 9×9. I am already dreaming of making this different ways. crush the nuts more, add extra caramel, etc. I will be making this again and again. The caramel sauce itself is amazing. I’d also love to try it with no crust and just make caramel pecan candies. So many possibilities! Making this now! I absolutely love the way the Sukrin gold syrup and brown “sugar” work. So worth the price! Pecan pie is my all time favorite and these look amazing! Not many sukrin recipes out there yet. I really got to say every experiment that I’ve done with that product has been an A+.Thanks for sharing. 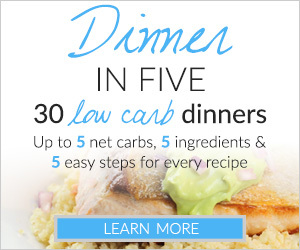 You are one of the top 3 low carb bloggers that the recipes come out great! It came out great! Definitely worth making again at some point! I used unflavored whey protein as it is easier for me than to have a bunch of different flavors. I added a bit more vanilla extract I’m with the butter! Thanks so much! Hi. I am excited about this recipe. However, I have a question. Is there a substitute for the whey powder? It’s not something I have in my pantry or purchse. These are Wonderful!!!! My Husband even loved them and he is a hard one to please when it comes to low carb anything .especially using sugar replacements. Thank you THANK YOU!!!! No luck with any fiber syrup, but I’ll try and get maple flavouring or try your other suggestions. Low carb high fat eating is quite popular in South Africa thanks to Prof. Tim Noakes and his promotion of the Banting diet. Although he is getting a lot of push back from some people in the health industry here! I made these as our Christmas Eve dessert and they are absolutely fabulous! I just made these! Heavenly and perfect for the holidays. I used an 8×8 silicone pan (still with the parchment paper over the sides) and it popped right out beautifully. Since the pan was smaller I cut my pieces more into fudge size squares for a party and it was PERFECT! I keep them chilled and enjoy a little piece of heaven when that pesky sweet tooth pops up. Will be making these bad boys again! Would love to win this so I can make this recipe. It looks amazing. Haven’t tried any of the Sukrin products yet. Good luck to you Terry! If you will be investing in the product in the future, may I suggest the Sukrin Gold (brown sugar replacement)? If you want to make some fancier things like the caramel sauce I have featured in this recipe, then add the Sukrin Fiber Syrup Gold to your list as well. I use only small amounts at a time in my recipes, so they last a long time for me. Thanks for the comment and have a nice week! These look soooo good… I can’t wait to try them!